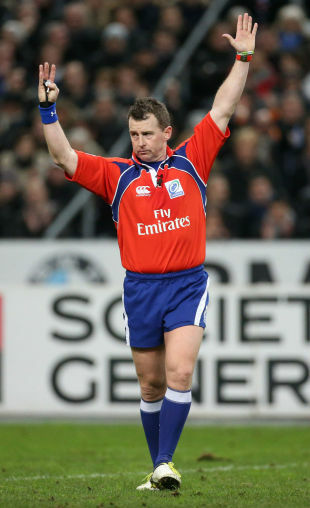 Referee Nigel Owens has said that football could be made much better if it adopted a rugby-style citing system where incidents could be reviewed retrospectively. Writing in his column in the Western Mail, Owens reflected on the first week of the FIFA World Cup. "Imagine how much even more beautiful the game would be if FIFA stamped out the play-acting, the diving, the conning, the running around to surround referees. "This is not, let me emphasise, an attempt to get on a rugby high horse and have a pop at football. I fully accept there are things we can improve upon in rugby, too. But when you look at a few incidents … you do realise that a citing panel could be of great benefit. "Ban players who have clearly dived for a penalty and you would quickly get them taking a different course of action. In other words, cutting it out. "People talk about gamesmanship, but there is a difference between bending the rules and breaking them." He said that while rugby is more difficult to referee, the one advantage is that generally action is happening much closer to the official. "[In football] the ball is inside the penalty area and whereas the referee can see contact, because he is so far away it can be difficult sometimes to tell how hard that contact has actually been. "Was it really a penalty? Could the offensive player have kept on his feet? Was it a dive? This is where referees need help and that has to come from FIFA. The result would still stand, but if there is a particularly controversial incident let a citing officer make a judgement. "It's part of the culture in football for some players to dive, but their actions put too much unfair pressure on the referee. Ban the player involved for a game, put the onus on them, and I reckon they would soon sort themselves out." Owens said that TV pundits were not helping. "[They] have the benefit of watching an incident three or four times in slow motion. The referee has to make a snap judgement. Even then, the letter of the law means the referee he has made the correct call. But because a TV pundit tells everyone he has got it wrong, people assume that's the case."